On Sunday 26 May 2019, two CMBM teams will be participating in Choice, Passion, Life (CPL)’s ‘We’ll Make a Change’ trek. The trek will see the two teams hike 22.5kms through Brisbane’s beautiful D’Aguilar National Park, starting at Mt Nebo and finishing at The Gap. Lasting 6.5 hours, this is a physically testing but empowering journey that is both a personal and team challenge, focusing on comradery, teamwork, and overcoming obstacles. The two teams include the Cleaning team (led by Damien, Director/General Manager) and Building team (led by Mark, Managing Director). Donations can be made to the Cleaning team here and Building team here. Their goal is to raise $10,000! Looking for a reason to donate? Did you know that 1 in 5 Queenslanders have a disability? Many of you may know someone with a disability, whether it’s a friend or family member or someone you may have crossed paths with. CPL provides disability services and support to help people of all ages to maximise their potential. When your family is impacted by disability, you begin to understand how important organisations like CPL are. Funds raised from the trek will go towards vital CPL programs such as the Let’s Talk program, Camp Have a Chat and Screech Performing Arts. These programs equip children with a disability with the skills and technology they need to communicate with the world around them. If we help those in our community who need our support the most, collectively we will make a change. Please donate to our Cleaning Team here and Building Team here. We thank you for your support for this important cause. Technology has advanced in leaps and bounds in recent years, yet it’s an asset that is often overlooked in building management. There are many aspects of maintenance and management that can now be simplified with technological aids and solutions, but many of us still waste time and money by not implementing them into our routines and systems. Some of these aspects include quoting, scoping of works, emergency assistance, and information storage. With the assistance of virtual solutions, notably the JobView platform, these can all be completed with significantly reduced demand on time and money. Quoting is one of the most time-consuming aspects of any building works. It can be extremely costly and frustrating, as clients and facility managers can often wait for extended periods of time for us to arrive on-site for a quote. One of the best solutions for this issue is to remove the need to physically visit the site. This can be achieved by using JobView to view the site remotely, using voice and video capturing. These capabilities allow clients or facility mangers to guide us through an issue and explain it in their own words, giving us a clear insight into exactly what they want from the job. The video also provides a point of reference for future planning, meaning that we can consult multiple staff on a job without multiple site visits. Accurate scoping of works is one of the most important aspects of any job. Inaccurate estimations can result in money lost due to staffing, supplies, or time allocations, and can often result in a low-quality finish. A correctly prepared scope of works can avoid all of these issues, and allow for a fast turnaround time on jobs. Whilst scoping is traditionally performed on-site, the capabilities of virtual solutions now mean that it can be completed from off-site. Accurate scopes can be created through image and video capturing that can be referenced multiple times, and allows for advice from parties that may not otherwise be able to visit the site (such as regional managers or supervisors). Emergency assistance is something that everyone wants access to, but never wants to have to use. It’s crucial in this day and age that everybody has access to a 24hr helpline that will respond quickly to any emergency issues, especially with the unpredictable wild weather that Queensland experiences during storm season. It’s also important that when assistance is provided, it’s proportionate to the works required. This is effectively a form of scoping – ensuring that the work required has been adequately assessed, and is completed efficiently and quickly. Virtual assistance provides high-quality help because it allows a wide range of specialists to communicate with clients very quickly, and provide the assistance needed with a short turnaround time. In instances such as flooding, natural disaster or break-ins, this turnaround time is extremely important. To ensure that both reactive and scheduled building needs are effectively managed, it’s important to implement current technological solutions to simplify the process. Using virtual solutions can provide significant savings and create faster turnaround times on a range of works. Adaption of these solutions provide the most promising outcomes for quoting, scoping and emergency assistance, but can also be used for other management aspects like secure information storage. On March 15, 2019 our CMBM Facility Services Marketing and Tenders Manager, Meg O’Keeffe will shave her head to support the Leukemia Foundation – we are supporting her as she raises funds for this great charity. Donations can be made here. Her goal is to raise $5,000! Remember being two years old? Not many of us do… but for most of us it was a carefree time as we explored the world with our families. Unfortunately, leukemia is the most diagnosed childhood cancer. When you donate, wonderful things happen. So thank you for your contributions! Every donation made means that kids like Jacob will find a home away from home with us, close to life-saving treatment. Jacob and his family stayed in our Brisbane patient accommodation for eight months whilst he battled AML. He is now a happy kid, back home and in remission. He loves playing with his brothers and sisters and helping his mum cook. He and his family live in Blackwater, rural Queensland which is a nine-hour drive from Brisbane. When Jacob was just two years old, he was diagnosed with acute myeloid leukemia (AML) – an aggressive form of blood cancer which needs to be treated urgently. His story is one of hope and great courage in the face of a suddenly scary, uncertain future. Thank you for your support! Read more. What does CMBM stand for? CMBM stands for ‘Clean, Maintain, Build, Manage’ – the four pillars of our business. We provide expert services in each of these areas across a wide range of industries. What does ‘facility services’ mean? Facility services is a professional term used to cover any services that your facility (office, building, warehouse, club etc.) may need. Outsourced facility management is beneficial as it decreases the number of suppliers, providing an integrated services solution to save money and time on administrative tasks. This covers a range of function and support services, some of which include building maintenance, cleaning, grounds maintenance, architectural planning, project management, storm response and trade work. CMBM is a 100% Queensland-owned company that has been operating since 2005. Our roots are in the demanding hospitality sector, where we built our name and reputation for quality. Since then, we’ve expanded to offer our services to a wide range of industries including government, aged care, commercial, industrial, education, health & fitness, resources & infrastructure, real estate, construction, and event management. We offer a range of services, all of which fall under one of our main ‘pillars’ of operation. These are all listed here. What systems do you use to maintain quality control? CMBM has a unique Quality Management Control (QMC) auditing system, which allows for our performance to be constantly reviewed by clients and management. This platform allows for tailored work scheduling, client communications, inspection updates, and work order functions across our cleaning operations. In 2017 CMBM Facility Services implemented Aroflo to manage the Facility Services division of the business. This cloud based software manages our building, grounds and facility services through from quote to job completion. We can ensure that our people show up, on time, and when and where they are meant to and deliver cost savings. CMBM have recently invested in advanced technology that allows us to seamlessly connect with your business anywhere, at any time. We can quote and resolve issues via digital platforms that save both time and money, and don’t use up valuable business data. These services are delivered quickly in an intelligent and efficient manner. What if I just need a small job done? We can provide quotes on a variety of job types and sizes – just contact us for any information you need. We also offer a range of maintenance packages if you are after regular or routine maintenance and services. We have clients in areas across Queensland, from Cairns all the way down to the Gold Coast, and inland as far as Yarwun. Some of our well-known clients are here. Will I see a different Manager every time? No, at CMBM we have a dedicated Client Service Managers for our clients. We value our relationship with our clients and find that the level of quality you deserve is better maintained through regular and consistent contact with a dedicated customer service manager. What is a ‘single service provider’? We offer a ‘single service provider’ solution – this means that all of your facility needs are collected into a single invoice. This saves you the trouble of having a different company for each of your maintenance areas and provides a single point of contact for any questions or call-outs you may need. It also reduces demand on payroll, increases operational efficiency, and allows flexibility in staffing levels. We can generate transparent savings models for clients based on their maintenance needs. These models show the savings returned within a 12-month period, which allows you to quickly and easily see how we can help you. How quickly can you respond to call-out requests? CMBM has a 24/7 helpline based in Queensland, and guarantee to respond to any call within 30 minutes. This gives our clients peace-of-mind that we always have their back, no matter the time of day. Are your staff insured and licensed? All of our staff are insured, licensed and trained. In addition to this, CMBM holds certification against safety, quality and environment (ISO 9001:2015, ISO 14001:2015 and AS4801). As many of you are aware, at the start of this week our head office moved from East Brisbane to Eight Mile Plains, in order to cater to our ever-expanding business. CMBM was grown at the East Brisbane office, where our team has poured countless hours of hard work into making the business what it is today. Since April 2005, we’ve grown from a small two-room building to a converted house, and now to a 50-desk office complete with conference rooms and on-site parking. A lot of memories were created during the 13 years spent at the East Brisbane office. To commemorate the move, we took a few snaps of some of the office team during their day-to-day work. We’re looking forward to sharing a new, larger space with the Gold Coast office team in the coming weeks. If you haven’t visited yet, come and say hi at our new address: 26 Brandl Street, Eight Mile Plains. We’re currently finishing renovations at our new office, on both the interior and exterior of the building. We’re excited to be unveiling our brand new space when it’s fully completed in 4-6 weeks. The 4th of July was Independence Day in the States, and it’s also the day I started at CMBM 2 years ago. Little did I know the big journey such a short space of time would hold for me, but it seems fitting for so many reasons that it was the day I started. I grew up in America so the day has always held a special place in my heart to begin with. I started work at CMBM Facility Services after applying for a twenty hour a week job when my son was ten months old. I am sure many of you would understand re-entering the workforce after having a child (whatever their age) can be a scary task even when you know what you are going back into, let alone starting in a totally new environment! Within a few weeks my hours had been upped to thirty and I was looking after marketing and tenders. It has been a big learning curve for me and is a big juggling act, but one I am enjoying more every day. I have seen employee numbers nearly double in my short time here, been part of some very large tender wins including The Sunshine Coast Council, RioTinto Yarwun, JV Property Group, Regis, DHA, Bundaberg Council and many more. 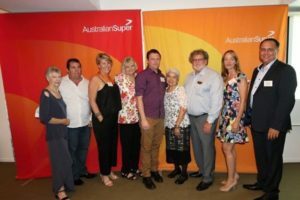 I have been part of the birth of Multhana Property Services to offer opportunities to Indigenous Australians and support the Queensland Government’s “get back to work campaign”. I’ve been to countless functions, raised thousands for charity, laughed too hard and I’ve stayed up way too late working on tenders. Most importantly though what I have joined is a group of very hard working, friendly people who feel like a big family to me now! I have some fantastic colleagues and I couldn’t be more pleased to have passed my 2 year mark. I am very excited to be hiring an marketing assistant soon in the next chapter of our journey (check out seek if you are interested). Thank you Mark and Damien for the opportunity, understanding and flexibility with my time as a working mother and empowerment of me and my position within CMBM. On Thursday June 7th at the East Brisbane office CMBM hosted a ‘MHF Beanies for Brain Cancer’ fundraiser in conjunction with the monthly sales BBQ. Mark is a close friend of the CMBM family and we are always eager to get behind a great campaign and give back to the community by raising funds for valuable causes. The Mark Hughes Foundation (MHF) is a Non-Profit, health promotion charity that was built by Mark Hughes and his wife in 2014, after he was diagnosed with brain cancer when they began the Foundation after realising how underfunded brain cancer was in Australia in comparison to other cancers. The lack of funding meant very little research into treatments or cures for brain cancer and, as a result, not much has changed in the shocking brain cancer mortality rates over the past 30 years. CMBM Facility Services are proud to launch our ‘About Us’ video, featuring Managing Director – Mark Hohn and Director/General Manager – Damien Cann who showcase our services, culture and the state of the art technology systems that set us apart. 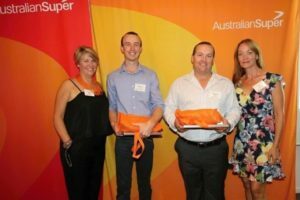 CMBM Facility Services attended the 2017 BSCAA (QLD) AustralianSuper Excellence Awards on Friday November 17, 2017 and received a number of nominations for awards within the cleaning industry in Queensland. 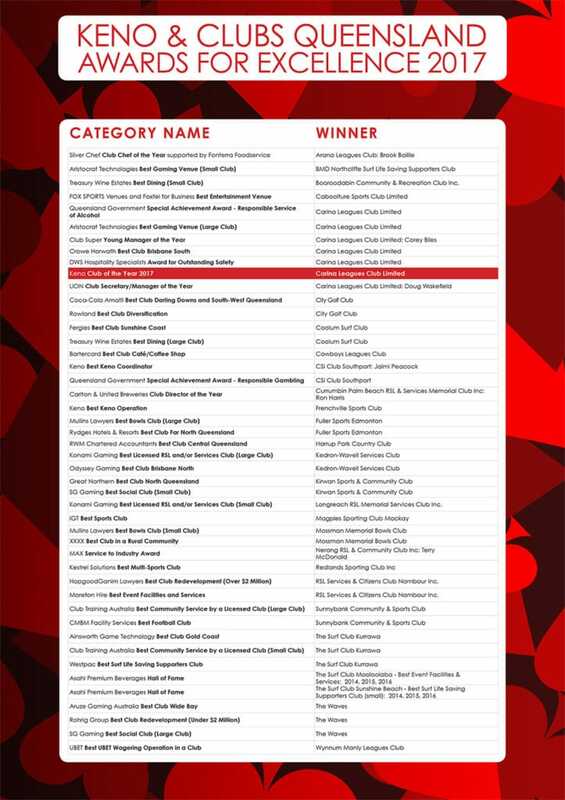 A big congratulations to our winners, highly commended and all CMBM finalists (list below). (Meg O’Keeffe stood in for Jo on the night to collect her award). Studies have shown that the average work desk has more bacteria than a toilet seat. This is probably because, so many people eat at their desks, and so few clean them. According to one survey, only slightly more than a third of respondents cleaned their work areas every week. One of the most important things workers can do to stay healthy is to clean their desk, computer keyboard and mouse at least once a week, or to hire office cleaners who will do it for you. There are many ways that employees can keep their workspaces clean and safe. The first is to buy a good, all-around office-cleaning sanitizer and to use it often on desks and other work areas. It’s also a good idea to keep hand sanitizer on desks for those times when hand washing is inconvenient. Clean out old papers on a desk by sorting them into ‘yes,’ ‘no’ and ‘maybe’ files. If the ‘maybe’ items haven’t been used in a month, employees should toss them out of their offices. Cleaning out old papers also removes a possible fire hazard and clutter. A spring clean can do a lot of good for organisations with lots of paper files, food cupboards, or stock storage areas. Again, de-clutter your storage area, throwing out files and old stock that no longer needs to be retained. This may be a good time for management to consider digitising files or re-arranging old storage systems to make them more space efficient, for example, by introducing new storage shelving and furniture. Air fresheners: place them around the office for a cleaner feel and smell. Supply your office with handy wipes for those unforeseen spills of coffee. Supply office with anti-bacterial gels. It is well documented that offices with this solution for their staff have less sick days because it minimizes cross contamination. More people are eating at their desks while working. Crumbs fall into keyboards, so a keyboard brush would be handy to have in a designated area. In appreciation of the efforts CMBM have been putting into support of the Queensland Government’s Back to Work program we recently received a letter congratulating us from the Premier of Queensland and Minister for The Arts – Annastacia Palaszczuk MP. The Queensland Government’s program is encouraging businesses to create opportunities for those facing disadvantage in the labour market. In support, CMBM have been increasing efforts to provide employment opportunities to these groups. CMBM recognise that due to our industry type and front line roles such as cleaning and facilities, we are in an excellent position to provide opportunities to those that may be from a disadvantaged or other minority group such as long term unemployed, have a disability, indigenous candidate, or even more mature workers who are enthusiastic about finding a job, but are struggling to overcome certain barriers to employment. “Job creation is a key component of the CMBM business strategy and we look forward to continuing support of the Queensland Government’s Back to Work program.” Mark Hohn, Managing Director, CMBM Facility Services. CMBM Facility Services are proud to have partnered up with a number of community based support groups for recruitment in order to achieve our objective and look forward to the positive impacts of this initiative throughout Queensland and within our industry. CMBM Facility Services are a proud sponsor of the Currumbin Beach Vikings Surf Life Saving Club Inc.
Well done to the Club who recently finished 2nd on the overall point score for the 2017 QLD State Championships. CMBM Facility Services were proud to sponsor the award for the ‘Best Football Club’ at the 2017 Keno & Clubs Queensland Awards for Excellence. 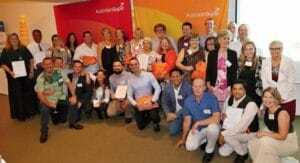 Congratulations to Sunnybank Community & Sports Club! 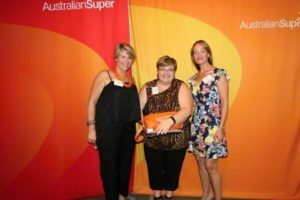 It was great to see so many of our valued clients winning at this years event. 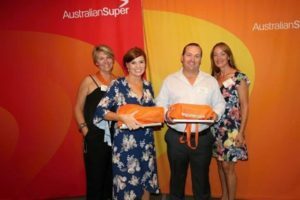 We would like to further congratulate the winners of the 2017 Keno & Clubs Queensland Awards for Excellence and Carina Leagues Club for winning Keno Club of the year for 2017. CMBM Facility Services are pleased to announce that Mark Hohn was recently been appointed to the BSCAA Queensland Board of Directors. They are Australia’s peak industry representative body for the building services industry and members include contractors for cleaning, security, facilities management and grounds maintenance. This is another great way for our leaders to stay on top of industry trends and changes within the industry, and we look forward to being part of the well-established board. The BSCAA QLD Board has fundamental responsibilities to develop the strategy for the organisation, oversee its implementation and monitor everyday performance and results to its strategic direction. Directors ensure compliance with regulation and monitor and ratify legal, financial and ethical decisions on behalf of the membership. Identifying and communicating opportunities for the organisation. ISO is an international body that standardises how businesses and organisations involved in commerce and industry manage information and processes. An ISO certification ensures that the applicable management systems conform with all the requirements for standardisation, safety, quality and environmental assurance. CMBM operations are Quality Assured and our high level of compliance directly reduces the risk associated with our operations. This provides our clients with less risk and credible compliance through improved systems, processes and safety, and reducing our impact on the environment as an organisation. We look forward to the positive benefits for both staff and customers of CMBM Facility Services across Queensland today and in the future. CMBM proudly donated cleaning services to support the completion of the Bravehearts Head Office in Arundel, a site recently completed by Hutchinson Builders. We were very excited to assist by completing the final clean on the top floor, external windows and two bad carpet areas on the ground floor. Bravehearts exists to protect Australian children against sexual harm and is the first and largest registered charity specifically and holistically dedicated to addressing this issue in Australia. Great news… CMBM are proud to announce that our brand new website is up and running. This all new, user-friendly website will make it easier than ever for all users of facility services in Brisbane to locate and read all about our full suite of services, namely Cleaning, Maintenance, Building and Managing. One thing should come through loud and clear when looking through our new site – we are a complete service provider. You no longer need to manage multiple suppliers for your facility when we can do it all. So instead of commissioning several different companies to look after your asset(s) – cleaners, maintenance people, builders, property managers and so forth – you can achieve it all with just one call. All your facility services questions answered. Our full range of Maintenance Services, including Grounds Maintenance, Asset Maintenance and Safety Products. Having said that, there is so much more to know about all these services, so if you need more information or would like our expert advice – or would like to book a project, either on a one-off basis or long-term – please call us now on 1800 26 26 37, or click here to contact us. TJS Queensland recently rebranded to CMBM Facility Services. The new name CMBM FACILITY SERVICES PTY LTD incorporates the core concepts from our previous branding (Clean Maintain Build Manage) into our new name. Ultimately, it better reflects the total Facilities Services we can now provide to the market. We look forward to providing more information about these services over the upcoming months. We are excited about our new branding, which you may have seen making its way across our buildings, vehicles and uniforms in Queensland. We will also have a new website to share with you in the coming months, so stayed tuned!